The youngest of Russian emperors, Ivan VI, spent most of his life forgotten in solitary confinement in a dank prison. His real name and identity were unknown even to the guards. The story of Ivan VI’s life is as tragic as Dumas' story, Man in the Iron Mask. While he never actually wore a mask, the little boy fell victim to Russian court intrigue and lived almost his entire life in prison, further suffering the indignity of being deprived of his identity. Our story begins on the night of Nov. 25, 1741 in the Winter Palace in St. Petersburg. 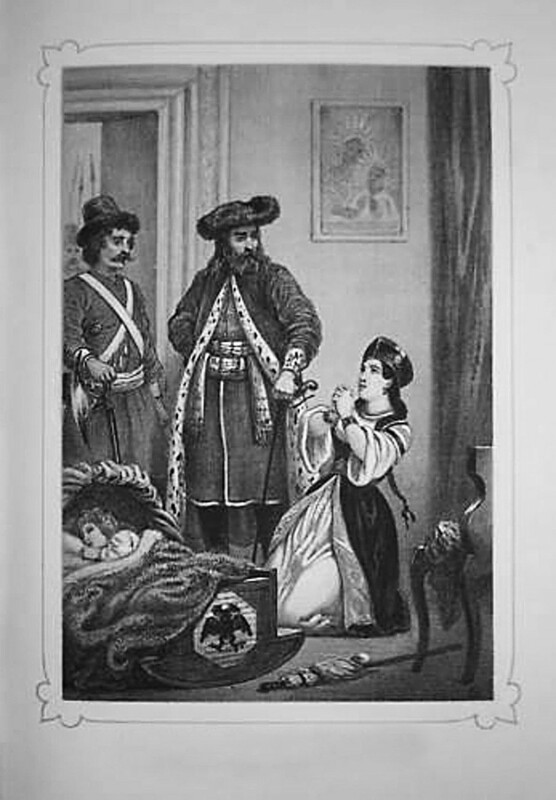 The reign of the youngest Russian emperor, lasting only for a year, ended abruptly when Elizabeth, daughter of Peter the Great, entered the bedroom of Ivan’s parents, accompanied by soldiers of the royal guard. “It’s time to get up, sister!” shouted Elizabeth to Ivan’s mother and regent, Anna, while the guards, loyal to Peter’s daughter, were sent to detain Anton Ulrich, little Ivan’s father, and the baby himself. Elizabeth forbade the guards to scare the little emperor, so they waited for an hour at his cradle before the 1-year old boy opened his eyes and cried at the sight of soldiers. “Little one, you’re guilty of nothing!” said Elizabeth when Ivan was brought to her. The soldiers were not so careful with his four-month sister Catherine. They dropped her on the floor, which deafened the girl for the rest of her life. Elizabeth left the Winter Palace with the boy in her lap, but she didn’t know what to do with this problematic child, who was the only person with a legitimate right to the Russian throne. The 18th century in Russia is called “the era of palace coups.” Peter the Great himself came to power at the very end of the 17th century after a series of violent coups that left him and his half-brother, Ivan V, sharing the throne until Ivan’s death in 1696. Since Peter’s elder son, Alexei, was incapable of ruling, Peter changed the rules of succession: Henceforth, every monarch had to indicate a successor in his will. 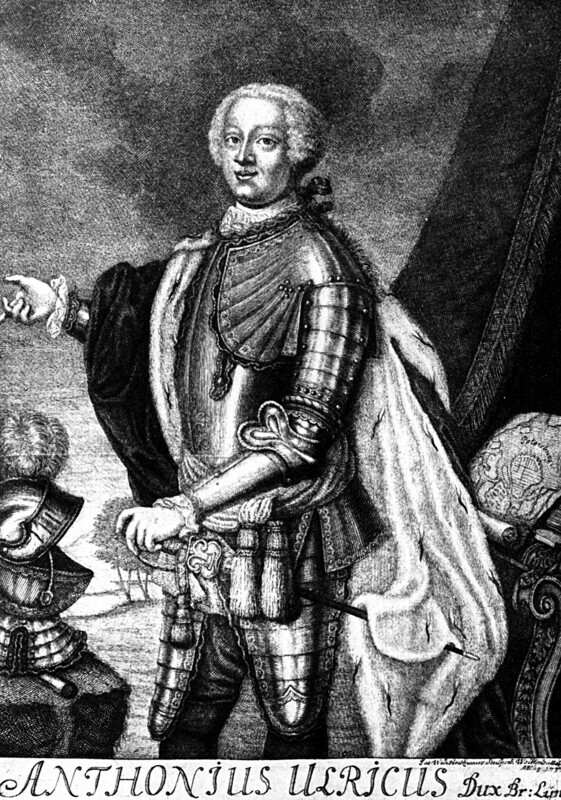 The first major crisis came in 1730 when Emperor Peter II (Peter the Great’s grandson) died without designating his successor. 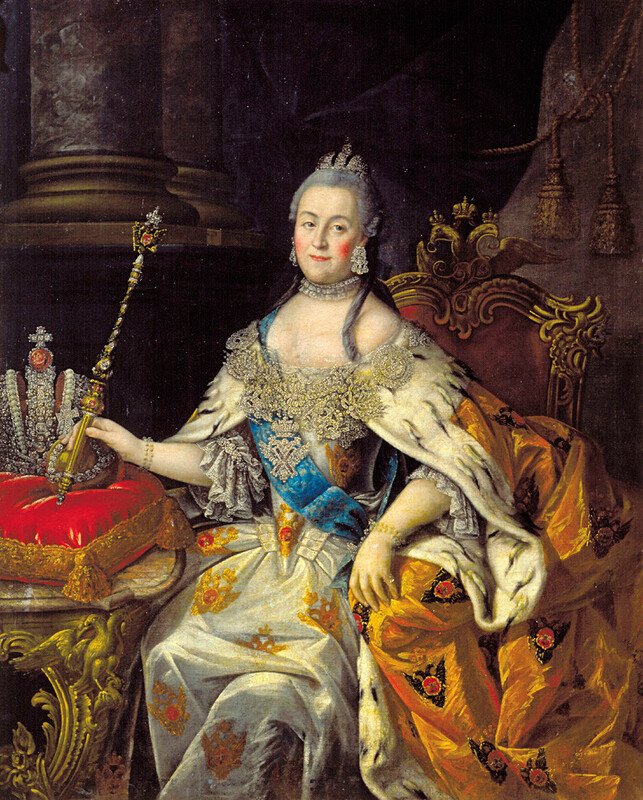 After a violent internal court battle, a powerful party led by Prince Dmitry Golitsyn decided the throne should go to the descendants of Peter the Great’s brother, Ivan V. That meant that next empress would be Anne, daughter of Ivan V. Meanwhile, Peter’s daughter, Elizabeth, was sent away from the court. Anne became empress in 1730, and immediately started planning a successor. Portrait of Empress Anna Ioannovna by Louis Caravaque. Anne detested all of Peter the Great’s kin, believing that Peter unjustly stole power from her father. In 1730, Anne was 37, and apparently unable to conceive. So, she decided to “produce” a successor from her niece, Anna Leopoldovna. In 1739, Anne arranged the marriage of her niece to Duke Anthony Ulrich of Brunswick. 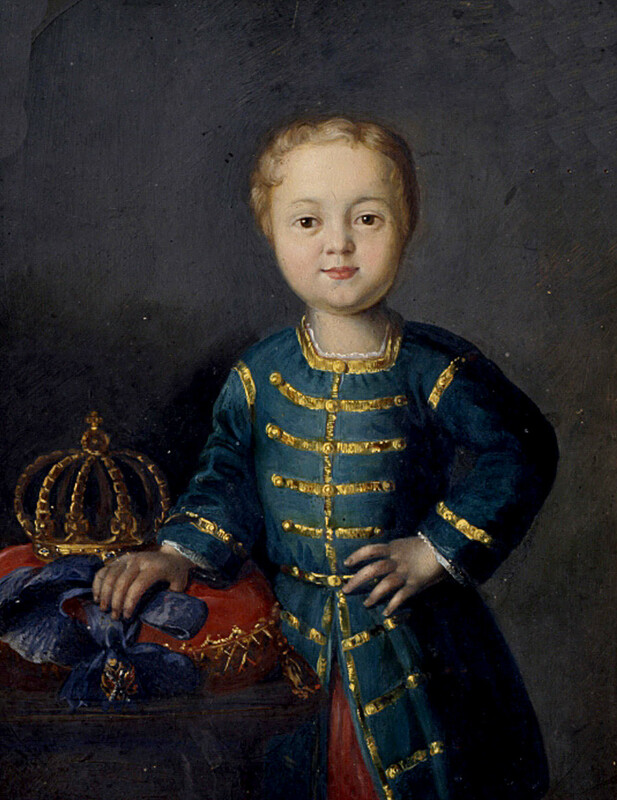 In 1740, Ivan VI was born a month and a half before Anne's death, and the boy was shown to the court and the public to prove that an heir exists. The young Mikhail Lomonosov even wrote an ode to him. As the boy was too small to assume state responsibilities, his mother and father became regents. Portrait of Duke Anthony Ulrich of Brunswick (1714-1774). At first, the Brunswick family wanted to keep the child from court affairs, but it was not easy to do. For example, French envoy Marquis de La Chétardie demanded that Ivan VI be physically present on the throne while Chetardie read an official letter from his king. So little Ivan had to occupy the throne as he merrily played and babbled through the royal proceedings. Meanwhile, power in Russia slowly passed into the hands of the Germans: Behind the backs of the Brunswick family, who were too inexperienced to rule such a vast country, the influential Count Osterman really held the reins of state power. This did not last for long, however. 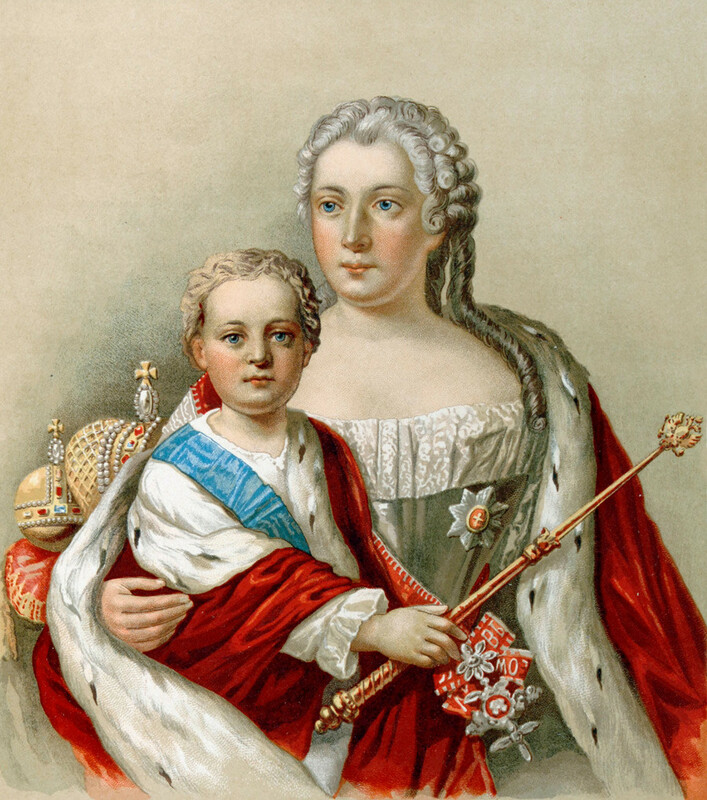 After the coup of 1741, power returned to Peter the Great’s side of the imperial family. 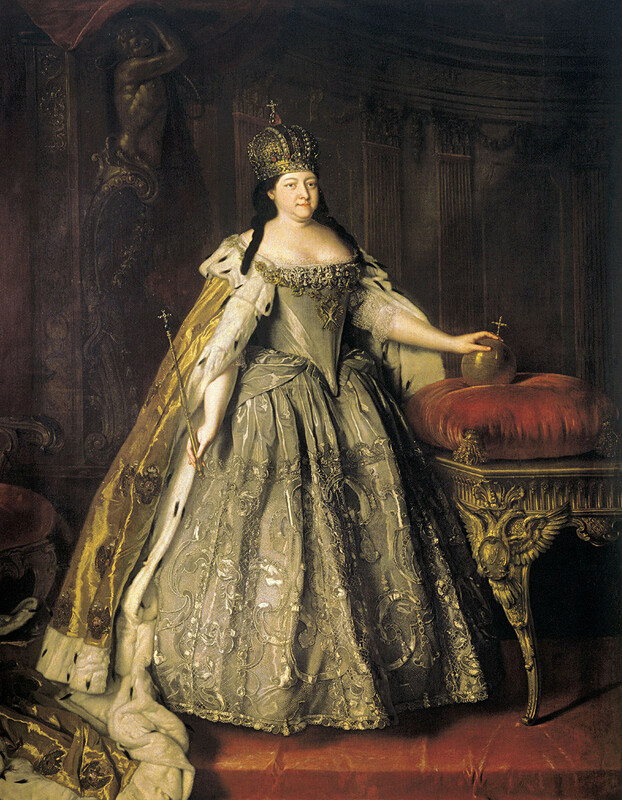 Empress Catherine II by Alexei Petrovich Antropov, oil on canvas, 1766. Elizabeth wanted her reign to start on a good note, and she originally thought merely to exile the Brunswick family to Europe. Her courtiers, however, soon explained that a legitimate heir could become a weapon in the wrong hands and lead to another coup. Thus, it was decided to keep the Brunswicks in Russia, and they were placed under house arrest in the village of Kholmogory in the far northern region of Arkhangelsk. In Kholmogory both the parents and children were kept in an isolated house, with Ivan held separately in the same building, even though the others were not aware of it. 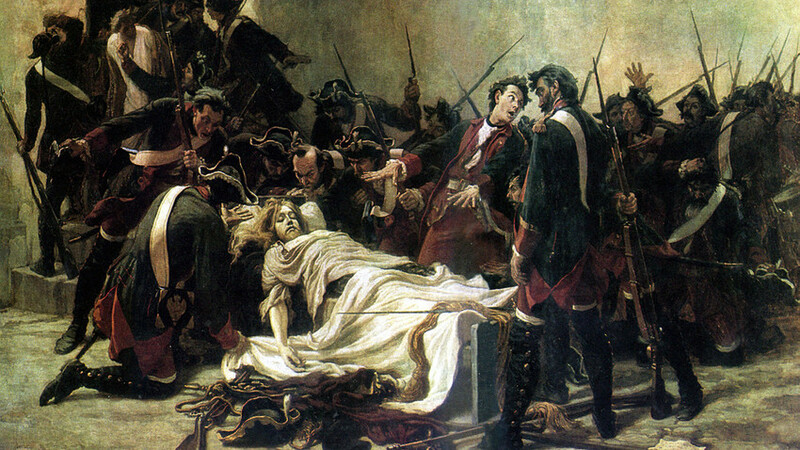 In 1746, Anna Leopoldovna died and was buried with ceremony in St. Petersburg as a member of the imperial family. 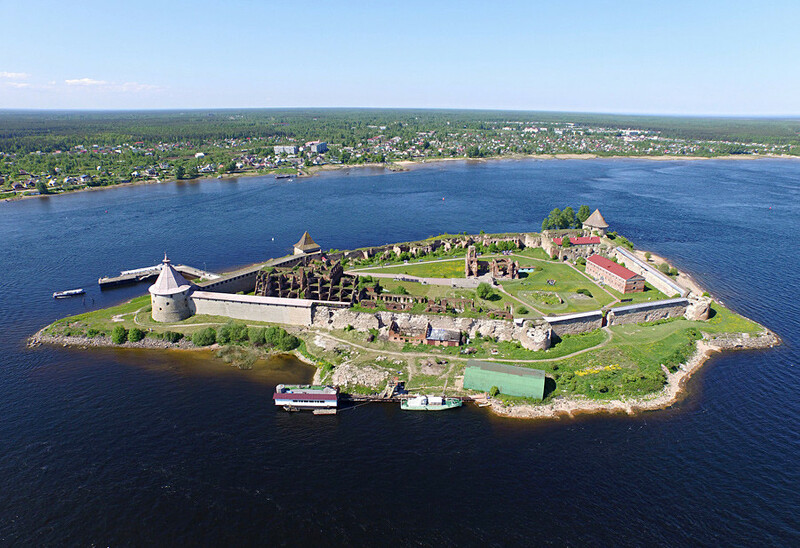 In 1756, Ivan was transferred to the maximum security Shlisselburg prison, where he was referred to as “a certain prisoner,” and guards were forbidden to speak with him. There was another grim order about Ivan. In case of any attempt to escape, or even a call for his release, the boy was to be killed immediately by the guards. This was to be carried out even in case that a release was ordered by the Russian monarch. Basically, Ivan was living under a death sentence. Later, the guards reported that the prisoner was in constant anxiety, “complaining about malicious witchcraft against himself,” and springing to an upright position during his sleep at the slightest noise. The poor heir also dreamed of living in a monastery. Apparently the guards communicated with the prisoner, for an obvious sad reason - having spent all his life in confinement, the 16-year-old boy needed help with everything; his mental health was not well. In 1762, Catherine the Great visited Ivan in his cell and saw that he was a bit out of his mind. She didn’t alleviate his fate, however, because he had more rights to the throne than she, and hence, was a threat. The end to this sad and tortuous story came abruptly in 1764 when Lt. Vasily Mirovich made a desperate attempt to free Ivan. As originally ordered, the prisoner was immediately slain, and then buried somewhere in Shlisselburg. In 2010, reports of Ivan’s body having been found in Kholmogory were completely dismissed by the Russian Academy of Sciences' Institute of Archaeology. The question that remains unanswered is whether Catherine conspired to instigate Mirovich’s attempt to free, and thus eliminate, the unfortunate heir, who was one of the few people that the almighty empress feared. You can also check out what was so great about Catherine, or look into the fates of other Russian tsars that were killed. If you’re already tired of Russian royals, then visit an owl cafe in Moscow. From carriages to palaces: What gifts did Catherine the Great present?